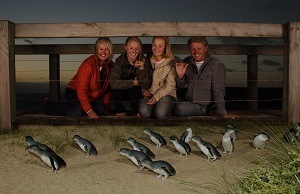 Enjoy the antics of the world's smallest penguins at fascinating Phillip Island. The sight of Australia's largest fairy penguin colony emerging from the surf and waddling up the beach with food for their young brings howls of delight from an enthralled crowd. 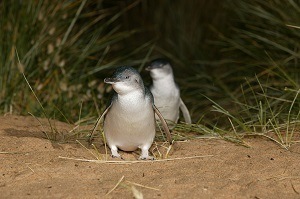 Includes: Transport, entry to Penguin Parade with Penguin Plus , gst.